Christie Low, the founder of Crislo Employment Agency, is a workaholic; having a desire to make a living on her own in Singapore. For the past 20 years, she has worked in a Japanese firm, as a sales coordinator following by doing fashion business. Approximately for about 4 years. In 1993, she went into stock investing. Unfortunately, she did not manage to gain any returns – she did not give up on this setback, instead without any prior experiences, she decides to operate an employment agency. Its first flagship is located at People’s Park Complex. With friends’ support, Miss Cristie Low the founder for Crislo Employment Agency Pte Ltd (established in December 1995) has begun its journey unexpectedly gaining a lot of awareness. Going through experience that she had in investment, she decides to learn from the basic. Her dreams were to help others, however this could not be the only reason for sustainability of a business. Yet, she did not experience fruit of the labour, she began to meet tacky issues such as shortage of maids / workers and clients which are the main products of an agency. Cristie started to visit door-to-door, looking for people who need hiring. Gradually, with her commitment, professionalism and trustworthy has increases her client’s base. It is her passion that keeps her going during difficult situations at times. She started interviewing for employees (maids), examine through their profile – “We are in the services industry, and this is the criteria that people are concern with.” Besides this, the competency of them is crucial, as they will be taking care of the household where the old and young ones will be needing their assistance. Aside to this, in-house training is provided to each employees such as households skills, communication, relationship management, psychology and mannerism. As Crislo Employment Agency Pte. Ltd. gains more credibility, its named has stretches out to the country such as Indonesia and Philippines. They even had Mediacorp put on show screening their selection and training progress on television. The expansion of the company has grew larger tremendously, following partnership with Sri Lanka, Myanmar, India, Bangladesh, Indonesia and Philippines working together closely. From the initial one office premise to four and the total of 25 employees working under the strict supervision of her. Last year, with further thoughts of her business operating back in her hometown, Malaysia – Cristie feel the need to set up a system whereby it can still runs smoothly even without the presence of her. It is not about success but the experiences that she had gone through and the people whom she met and talked to along the way. These are precious to her and moments that nobody could genuinely understand her literally. Cristie is thankful to her friends whom had introduced her into the consultancy trade. As a recruitment agency, we deploy maids from the Philippines, Indonesia, Sri Lanka and other parts of Asia. Our broad reach allows for scrupulous selection of good domestic helpers from around the region, employed by both locals and expatriates. We strive and build a long-term relationship with all our customers. 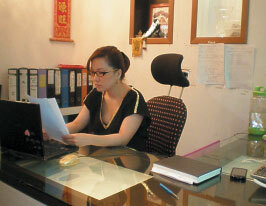 Our strict and extensive training programs prepare our maids to meet the challenges and demands of Singapore families. Whether housework, looking after our loved ones, babies or our elderly parents, you will find that our maids are well trained to meet the tasks. They are taught to obey instructions, be humble, and loving to your children and family. Our maids are selected not only considering their skills but also their ability to understand our cultural differences and responsiveness. Crislo, awarded with Top 100 Singapore Excellence Award 2012!